Citigroup has just added a new word to the crisis lexicon, warning that Greece could fall into financial limbo - a "Grimbo" - if Athens fails at securing more money from its international lenders and the reform negotiations remain deadlocked. That's at this article, here. 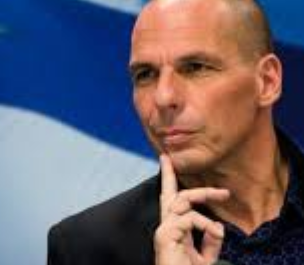 And, here's another little snippet from the article ... " in February 2012 ... Citigroup put a 50% probability that Greece would exit the eurozone within 18 months, and later raised the odds to a 90% risk by 2014." The latest probabilities are here. We really need more of these words. I'll get the ball rolling with Greekend. A weekend where I'll be eating souvlaki. Like this one coming.